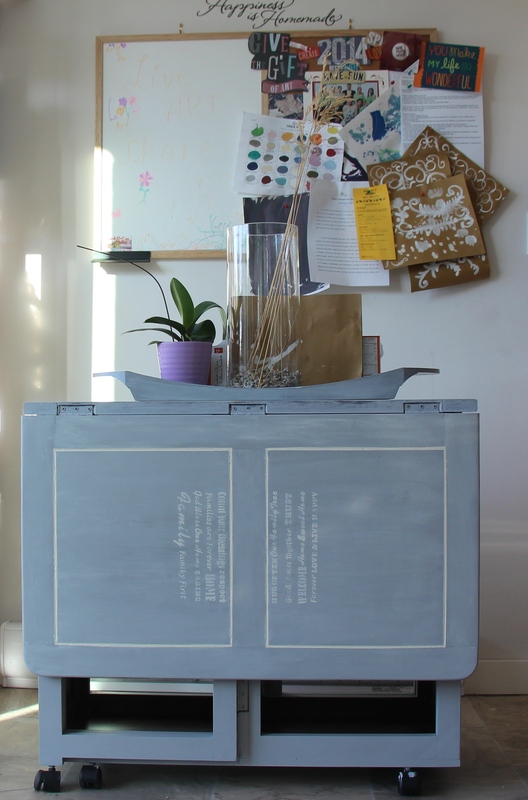 After discovering the beautiful Anne Shetty’s blog via twitter, I asked to share her “just in time for (Canadian) Thanksgiving” project with our Exeter Paint world: Anne Shett’s chalk paint furniture makeover! 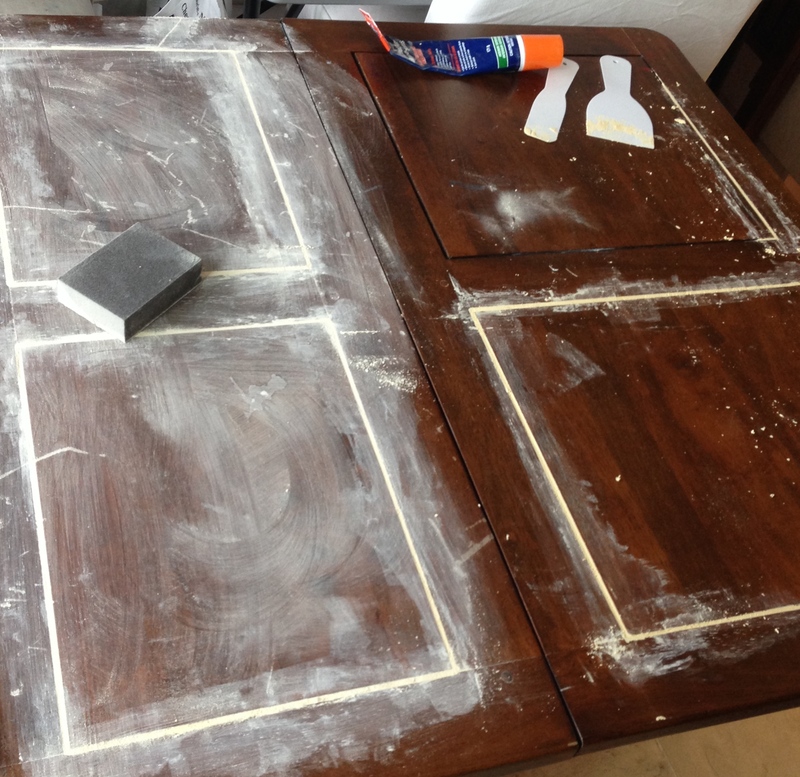 To recreate her new dining room table design, we can use Uniquely Exquisite Tintable Chalk Paint from Exeter Paint found at Exeter Paint + Exeter Paint West. 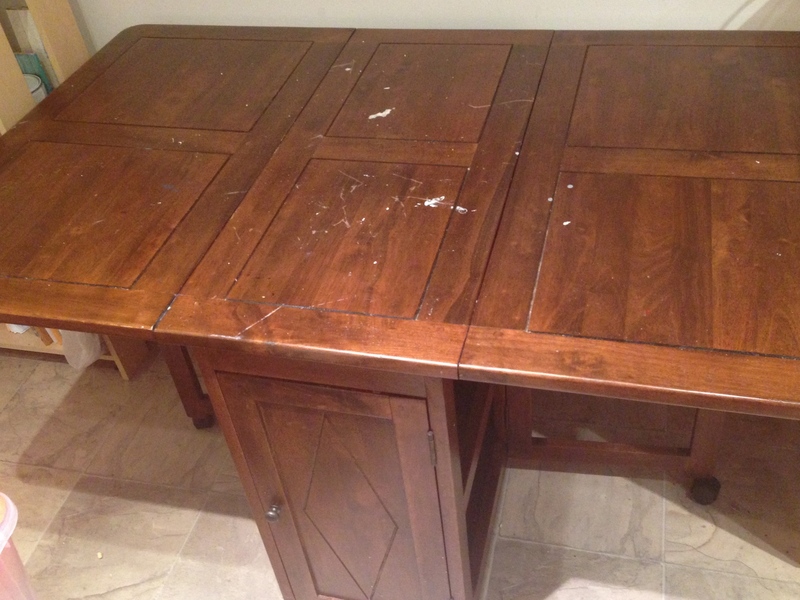 For the finish, Anne uses a soft wax, clear – also found in all Exeter Paint store locations. 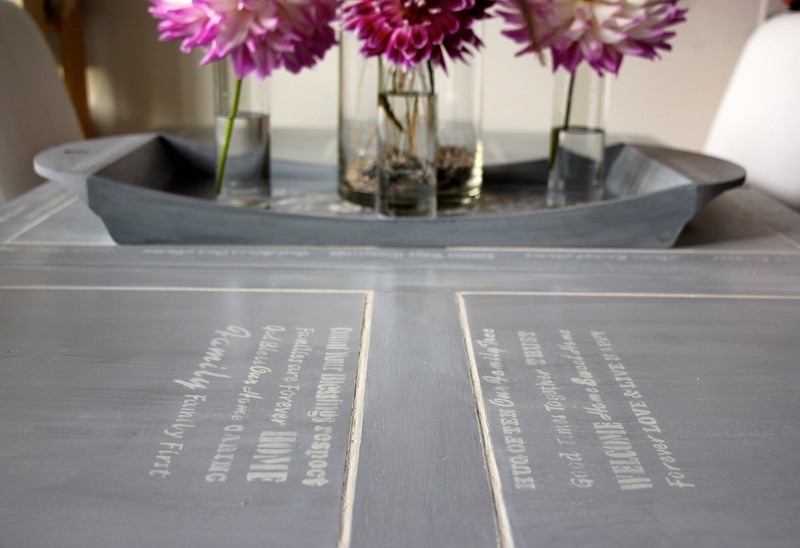 We can match any color you’d like at either of our locations in order to get the desired look for your personal style. 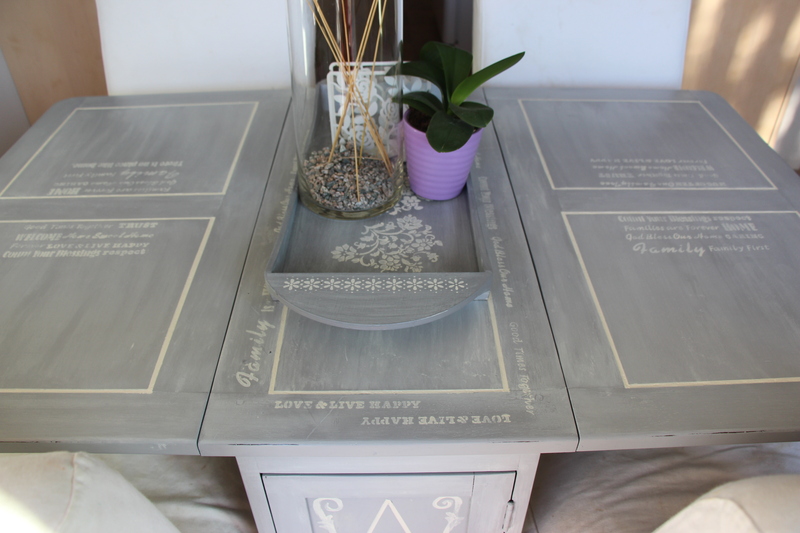 Below are photos from Anne Shetty’s blog of her old, warn table given some new love with a fresh coat (or two!) 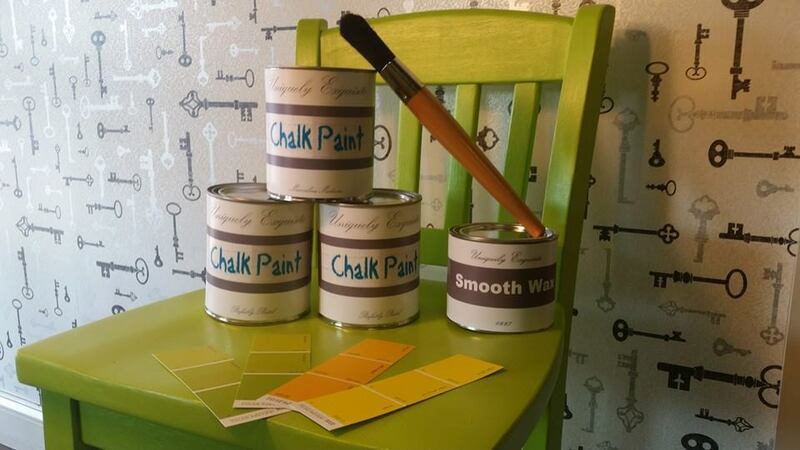 of chalk paint. 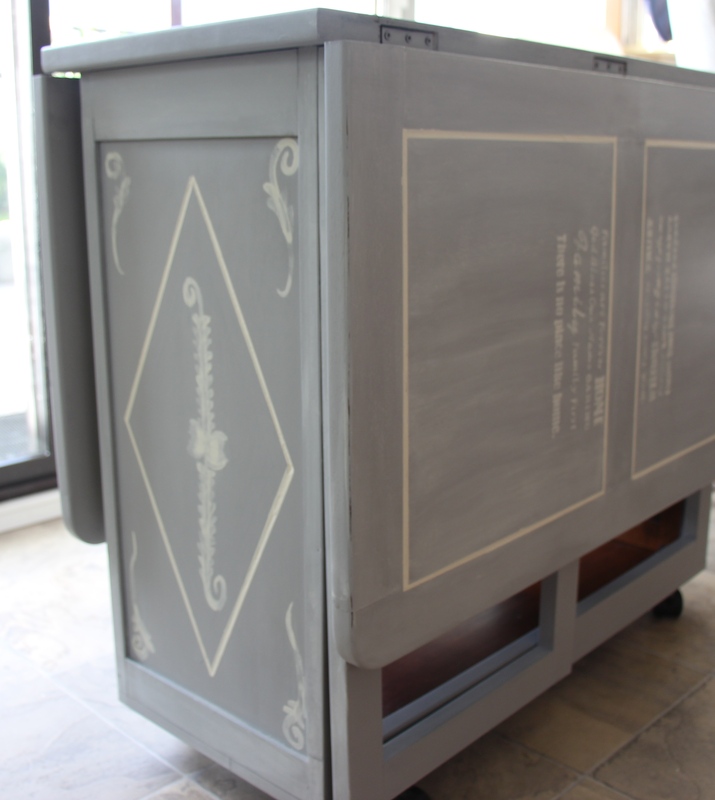 The chalk paint table can be left as a solid color, or details may be added to fit your personal style.